Introducing the newest addition to our white furniture range straight from the Cremona White Mirrored Collection, the beautiful Cremona White Bedside Cabinet. 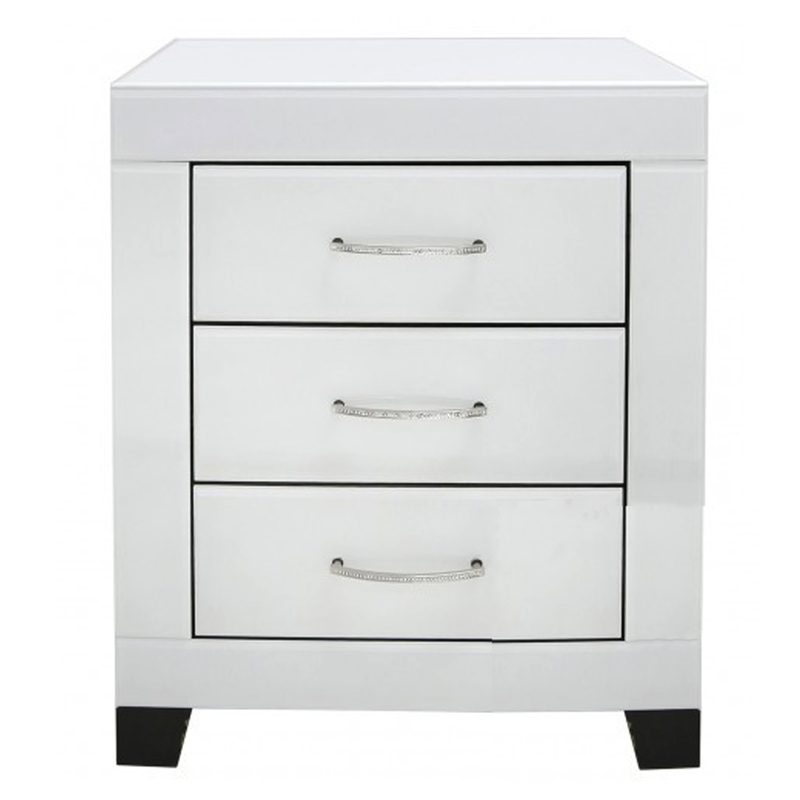 With three spacious drawers that can be opened by metal crystal handles gives this amazing bedside cabinet a modern feel. Finished off with the contrast of black legs this bedside cabinet is a perfect addition to add to your home.